Why Should You Join Our Guild? We’re so happy you’re thinking about joining our group. Our goal is to promote the love of quilting to present and future generations. We hope you will check us out by attending a guild meeting as our guest. 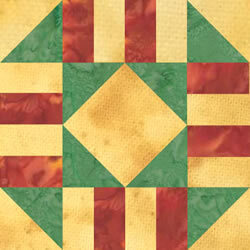 Mudsock Quilters Guild is a friendly community of generous women who love quilting. Our members range from true novices to advanced seamstresses. All levels of skill are welcome! You’ll learn to be a better quilter and be inspired by the creative energy of these amazing women! The quilters of MSG welcome you! Enroll by clicking the button below, completing the form, and paying the membership dues with your credit card. Please select the proper payment amount based on the date of your application. Failure to pay the proper amount due will delay your membership. Upon successfully completing the application, your membership card should be ready for you at the next guild meeting. Download the membership application form which is available as a PDF file that can be printed, filled out by hand and brought to the next guild meeting. Be sure to bring your checkbook to pay the membership dues.